Barcelona president Josep Maria Bartomeu has revealed that he would first speak to Real Madrid if the La Liga champions are interested in making a move for out-of-favour play maker Isco. 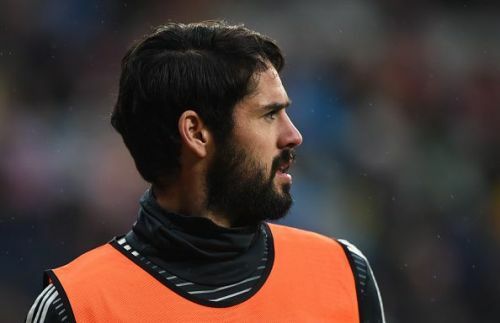 Isco has been linked with a move away from the Santiago Bernabeu as he struggles for game time under current Los Blancos coach Santiago Solari. Things are not going according to plan for Isco at Real Madrid under new boss Santiago Solari. The 26-year-old Spanish midfielder has rarely started since Solari took over at Santiago Bernabeu. He has only featured eleven times in all competitions this season and is mostly seen being used as a substitute. Despite their recent good run of form, Real Madrid are enduring an average season, considering their high standards. They are currently placed third in the La Liga table, eight points behind league leaders FC Barcelona. Barcelona president Josep Maria Bartomeu has admitted that he would speak to rivals Real Madrid directly if they decide to pursue the signing of playmaker Isco. When asked if they would pursue a player from their hated rivals, Bartomeu revealed that he would speak to them only if the club management asked for a specific player. "If our coaches asked us for a player and they want to leave Madrid, of course we would sign them. But it has not happened since I'm here. There are no non-aggression pacts. Each one tries to make their team more competitive," Bartomeu said to El Partidazo de COPE as quoted by fourfourtwo. Isco? For the sake of Real Madrid I would speak with the president of Real Madrid [Florentino Perez]. ", he added. Isco's current situation has seen him being linked with a move away in the summer, with a number of top clubs said to be interested in his services. Real Madrid will face FC Barcelona in the Copa del Rey and Ajax in the Champions League. They will also be hoping to continue their recent good run of form in La Liga. Isco is currently contracted at the club till 2022, and it remains to be seen whether he decides to stay or leave this summer. Till then, he will be desperate for some game time to impress Santiago Solari and get more minutes on the pitch.